Arabian Charms Slots | Claim up to £500 Welcome Pack! 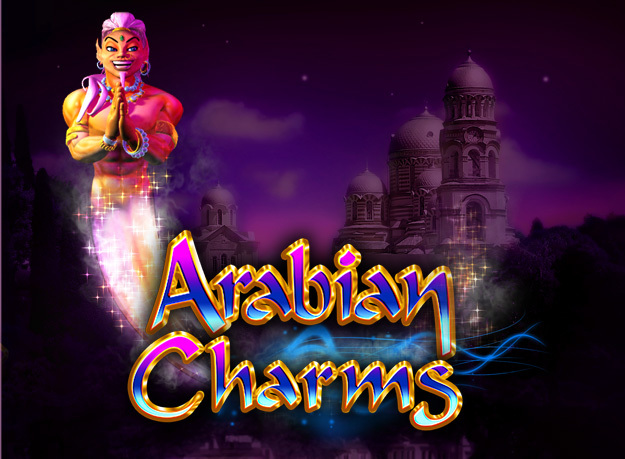 Play Arabian Charms slots and watch your biggest wishes come true! Play the Golden Trail and Mystery Win Bonus games to collect Mega Cash Prizes now! Get ready for a visual treat when you spin Arabian Charms slots! The stunning design and sound effects will whisk you away to the Arabian Desert to find your golden treasure! The graphics include genies, lamps, coins, and more set against a misty desert backdrop and Sultans palace. 3 or more Bonus Scatters on the reels can get you into the Golden Trail Bonus to increase your prizes! Plus, if you can trigger the Arabian Charms Mystery Win Bonus at random you can really boost your wins! The colourful Wild symbol will help you complete paylines by replacing other symbols on the reels! Play today at Vegas Spins!